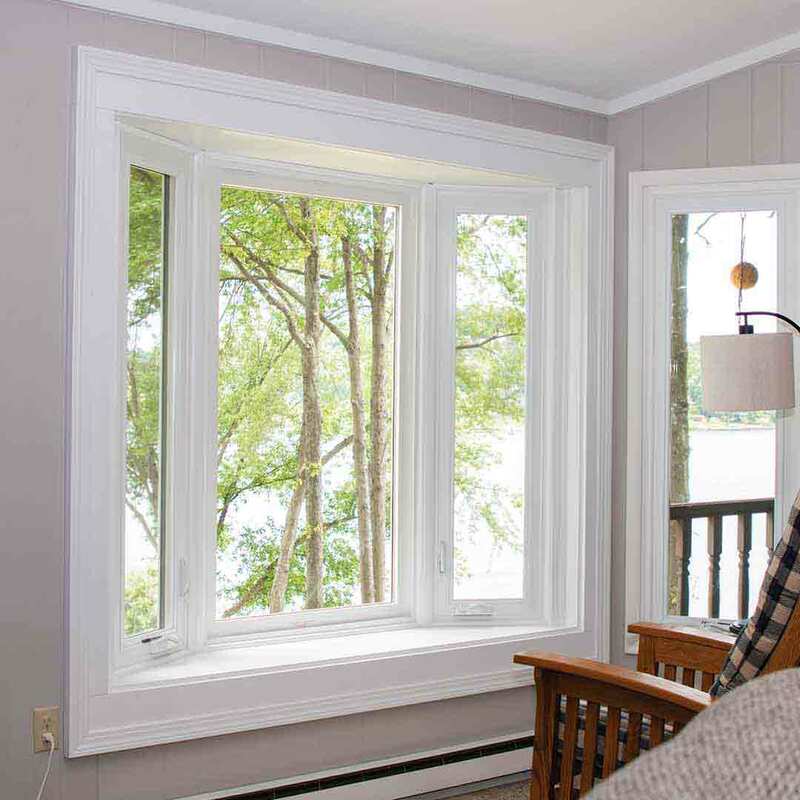 Acworth, GA’s residents rely on Universal Windows Direct to improve their home’s exteriors. Our quality replacement windows, entry doors, and vinyl siding make Acworth homes a beautiful and comfortable place to live. 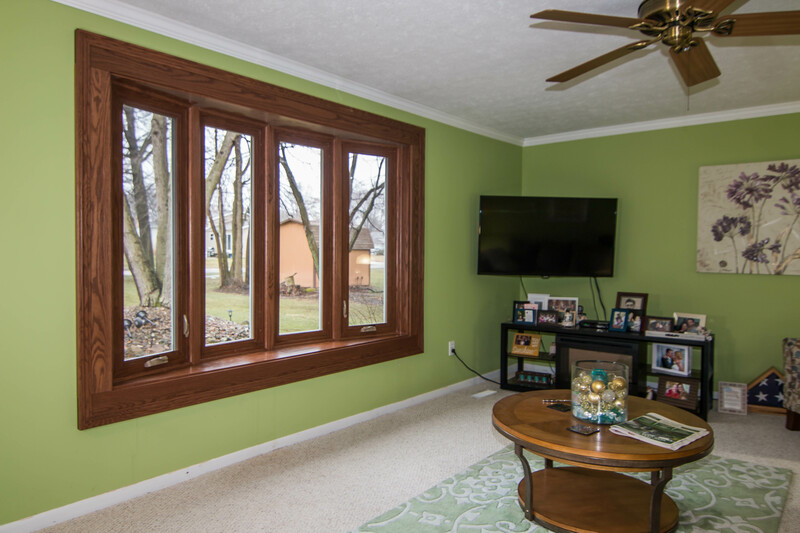 UniShield® replacement windows are certified by Energy Star and designed with the industry’s best quality vinyl. Experience increased indoor comfort with new window replacement while saying goodbye to drafts. UniShield® is available in four tiers of glass packages that are custom made to fit the climate of Georgia, offering exceptional energy savings throughout the year. Every UniShield® window is specifically designed to fit every unique home. This ensures proper fit to the window frame while maximizing performance. 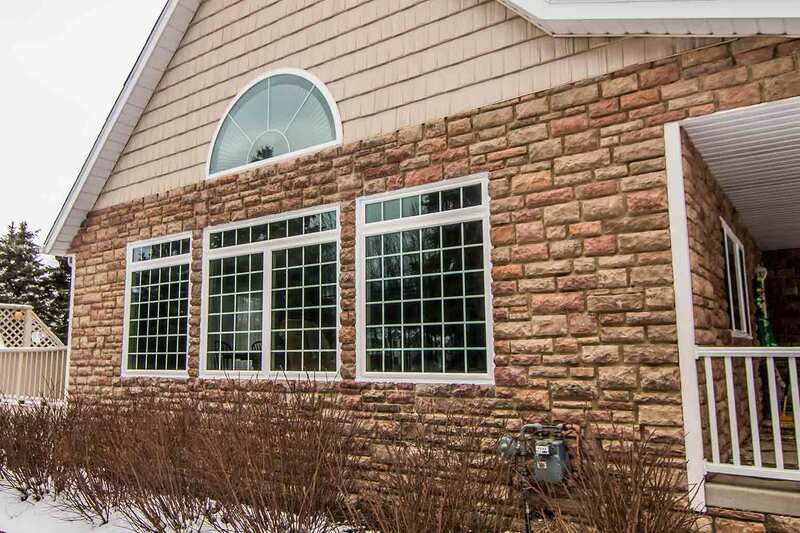 Choose the window style that’s ideal for your curb appeal with the most popular options on the market available at your fingertips. Double hung windows complement any southern curb appeal while geometric and specialty shapes add extra personality. Plenty of decorative glass options add wow-factor to new window installation, including designs such as floral or prairie glass. Custom window grids bring a touch of traditional to the exterior while enhancing its southern charm. 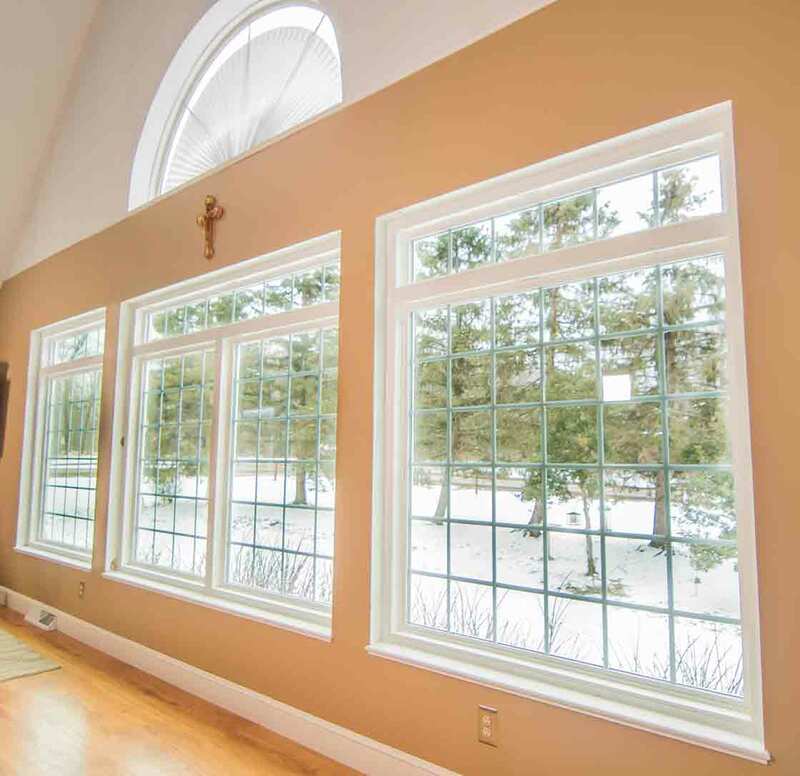 UniShield® is a low-maintenance window with no requirements of sanding, staining, or painting. The products are engineered with 100% virgin vinyl, giving them the power to resist the elements while never warping, peeling, or rotting. Bring out the best in your home by choosing UniShield® window replacement. 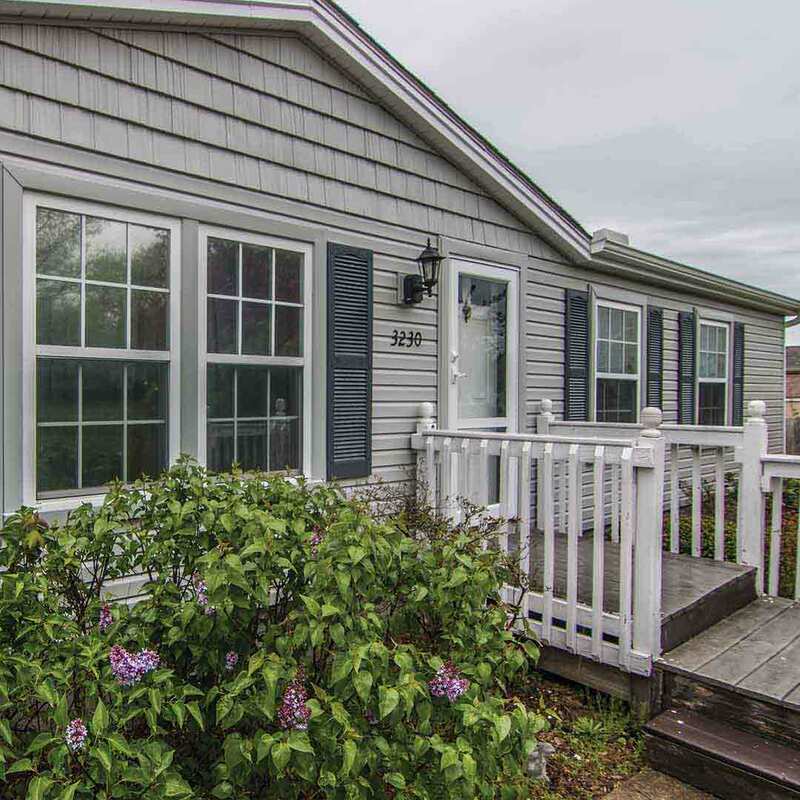 UniShield® vinyl siding is known around Acworth for its striking attention to detail, including lifelike wood grain patterns and an eye-popping color palette. Find your favorite siding color to quickly transform your home regardless of architecture. 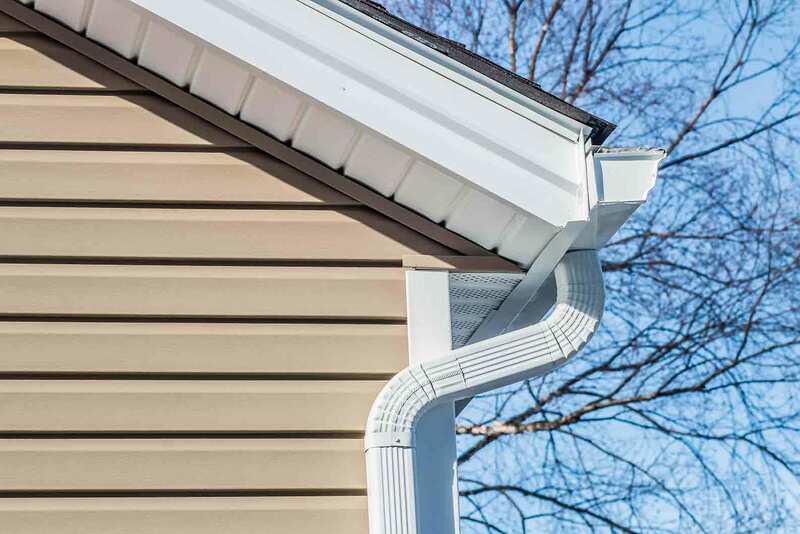 For further ways to add an ornate appearance to the exterior, complement your curb appeal with vinyl soffit, vinyl cedar shakes, and vinyl scallops to enhance window gables. With impressive panel thickness and extra-long panel lengths, rest assured that UniShield® siding is equipped to handle all types of wind and weather in the state of Georgia. Armed with a 20-year color fade warranty, homeowners can enjoy the beautiful appearance of UniShield® exterior without the worry of fading from the sun. UniShield® is designed for beauty while making a difference in the comfort levels of the home. Housewrap is no match for Georgia’s heat, as it insulates the home down to the wood studs. 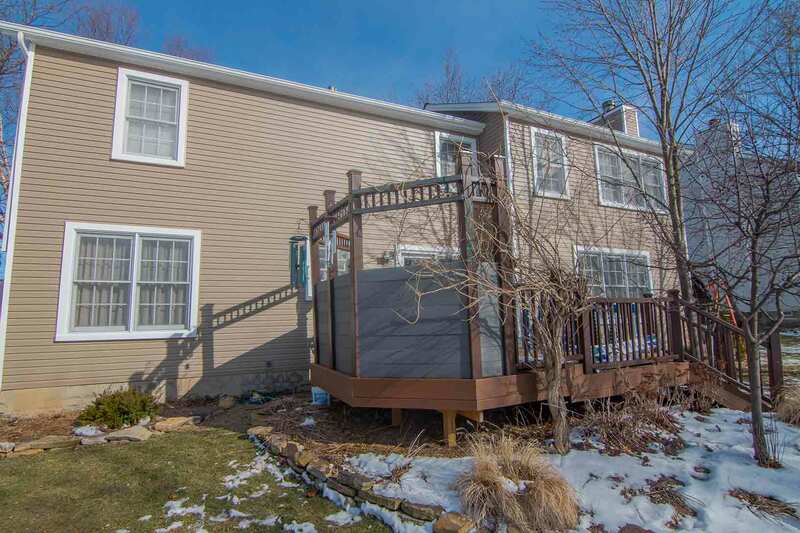 This product is perfectly paired with insulated vinyl siding panels, which blocks out unwanted air that becomes trapped between the exterior and the siding. UniShield® is an exterior that brings the best benefits of exterior remodeling, including energy savings and exquisite curb appeal. Design your ideal exterior from top to bottom with UniShield® siding installation. Acworth homes are more secure and extra beautiful with elegant fiberglass entry doors. Fiberglass is the favorite entry door material due to its low maintenance requirements and its uncanny appearance to real wood doors. Unlike wood, fiberglass is weatherproof and will not peel, chip, or rot from moisture damage. It also never requires painting, sanding, or staining. Custom entry door design is easy with UWD. 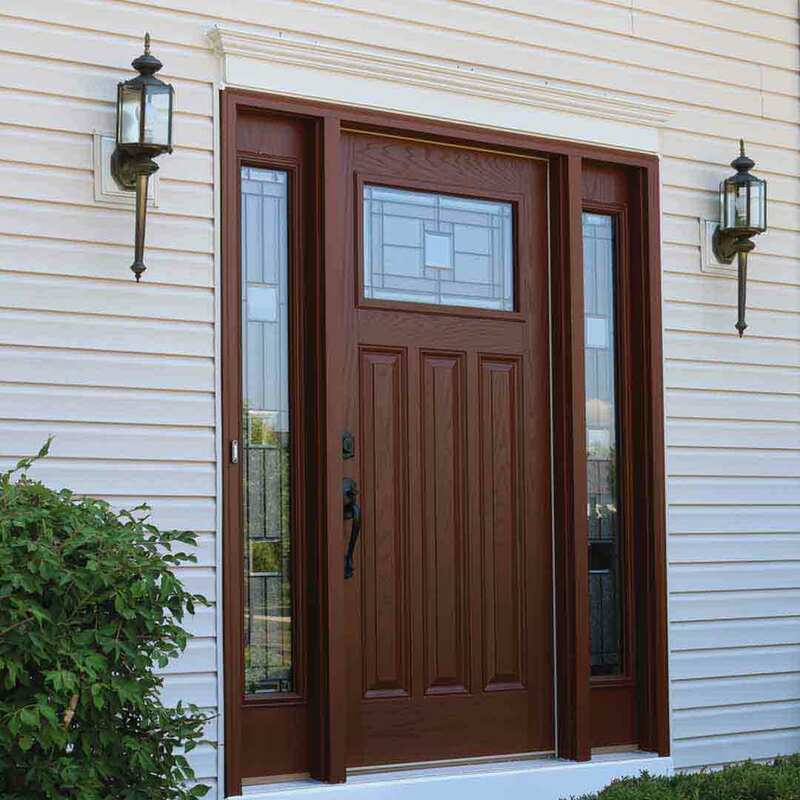 Engineer a stately door that looks just like real wood by choosing from our various wood stain options. Exterior paint color options are available ranging from contemporary to traditional. For a pop of personality, order your door primed and apply your favorite paint color at home. There is no shortage of decorative glass designs for front doors. 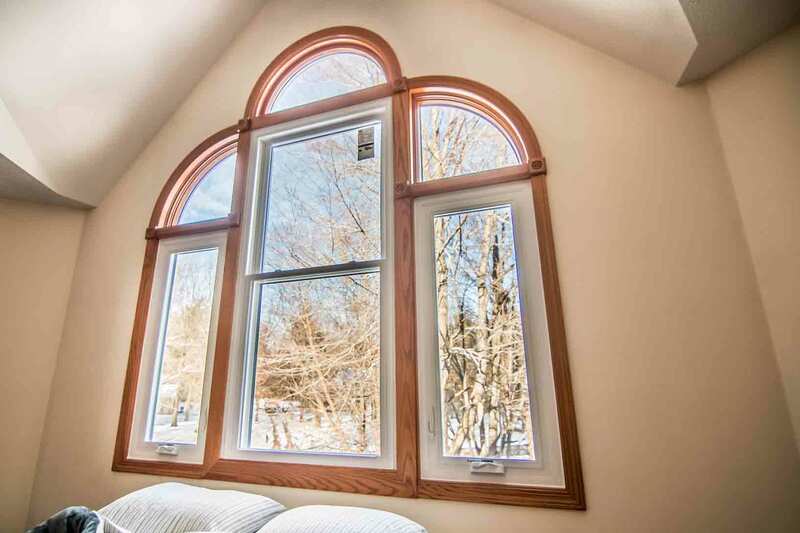 From transom windows to sidelites, decorative glass increases natural light in the home while offering a truly custom look and feel. 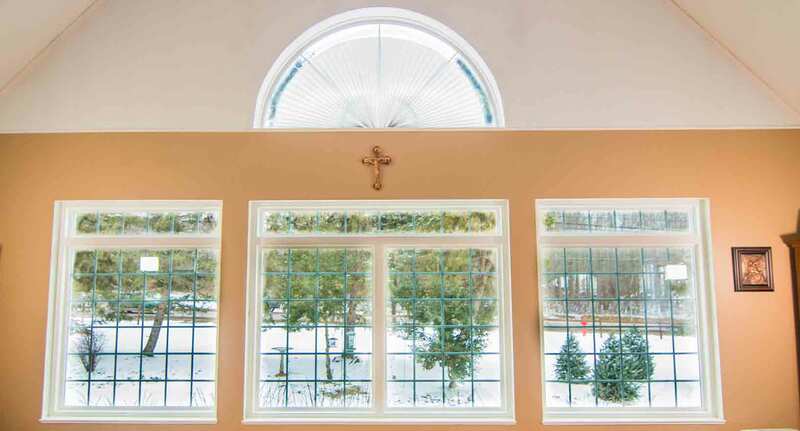 Find decorative glass designs and various shapes and sizes of windows in nearly any style that you desire. With both steel and fiberglass doors, families will enjoy the benefit of increased security. Grade 40 steel frames bring the best residential door security ratings in the industry. 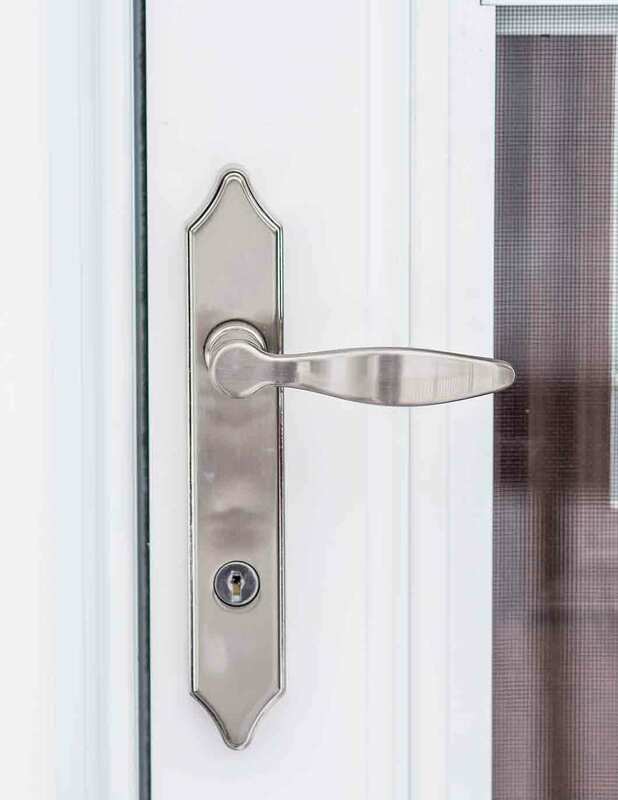 Choose from a variety of hardware styles such as handlesets, leversets, and touchscreen deadbolts. Entry doors can enhance energy savings in the home. 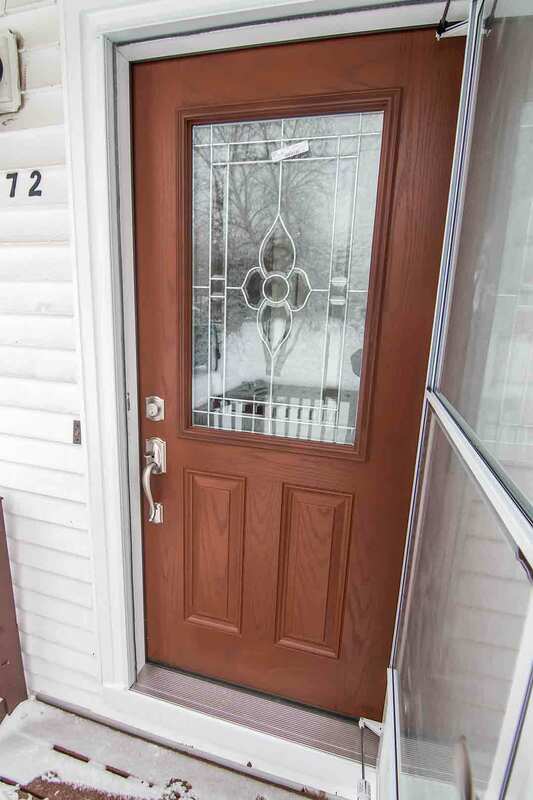 With entry door replacement, the door is installed straight and plum within the frame. Combined with durable weatherstripping and adjustable threshold, this blocks out dreaded drafts that cause energy bills to rise. 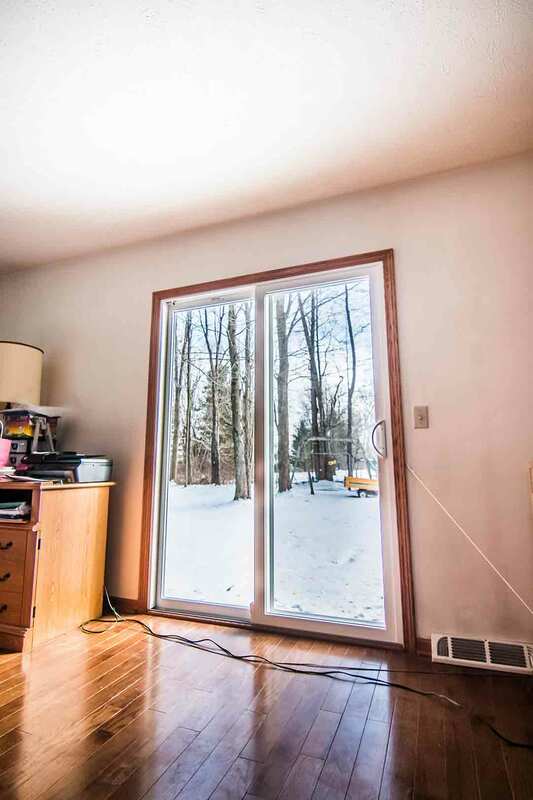 An internal foam core further improves the door’s energy efficiency, resulting in improved indoor comfort through all seasons. Homeowners find comfort in UWD’s True Lifetime warranty. The warranty protects many aspects of your new investment, including but not limited to labor, installation, materials, pieces, and glass packages. Enjoy professional installation provided by UWD. Our installation ensures that your product performs up to your expectations and brings the best benefits of your new exterior remodeling project. Universal Windows Direct is an award-winning exterior remodeling company. We’re one of the top-ranking window companies on Qualified Remodeler and Remodeling 550. Our company is accredited by the BBB with impressive ratings on various review websites, giving homeowners peace of mind of our top-notch exterior remodeling products. UWD is the exclusive supplier of UniShield® replacement products. We strive to improve the lives of homeowners with our quality products by lowering energy bills, improving indoor comfort, and creating a stunning curb appeal that’s second-to-none. We invite all Acworth homeowners to contact us for a free quote and experience the benefits of UniShield® right inside of your own home.